Posted in Videos | Tagged Aurimas Odi Bakchis, chelsea denofa, Matt Field, Nitto Tire, Vaughn Gittin Jr. 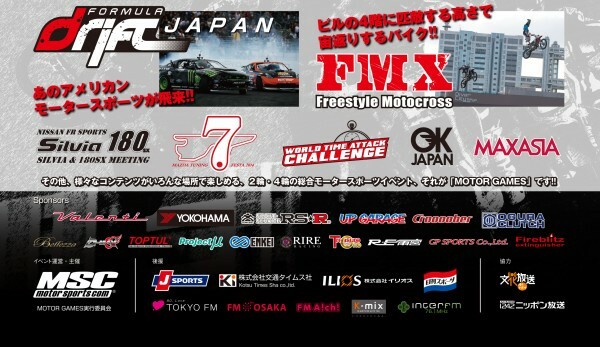 Formula DRIFT ASIA Round 2 – Fuji Speedway | Motor Games | will host the inaugural event at Fuji Speedway which will also be part of the FD Asia Championship in July 5-6, 2014 and a second competition in December of 2014 at Okayama International Circuit. Don’t miss out on an excitement filled weekend of drifting as well as the Fatlace Offset Kings Meet, Mazda Festival, Silvia & 180 Meeting, Super Moto, FMX, time attack and extreme stunt bikes.